Blogging is a crowded space, no matter the market. It’s a challenge to find ways to get people to notice your website and to stick around long enough to become a follower. I ran an active blog for years and spend countless hours working on growing my following. Some days after toiled away I brought in only a handful of clicks, other days I brought in thousands. Blogs are awesome for anyone wishing to grow their public image. One downtown Toronto massage business started one and managed to double their number of clients. Another city council woman, Ana Bailao, did the same. So what can you do to build yourself a blog following? Link-building is one of the most effective ways to build your online foot traffic. Think of them as bread crumbs people can follow back to your website. There are two reasons to link-build. The first is to bring interested people back to your site. The second is to help google search engines find your website resulting in higher search rankings. A link-building strategy is best completed when your links are placed on well-respected websites. Start with social media accounts and move on to blog databases for your niche. Then you can work on getting links to your site on other pages, such as blog commenting sections and forums. Getting your name known within the blogosphere is key. One way to get your name spread out is through guest posting. Find someone else who is in your niche and about the size of your blog. If you’re struggling to find them see if you can find a blog roll with a list of blogs in your niche. Send the blogger an e-mail with a guest post idea that would find with the content on their site. The blogger is likely to accept your proposal if they enjoy your writing and it’s always nice to get another writer on your site to add credibility. You can even extend an offer for them to write on your site! You want your content to make a splash in your market. Look at what the top bloggers are doing and see how you can do it better. You need to make sure that when your demographic steps foot on your site that stay. If you can manage this your content will be shareable and will boost you to the top in no time. Growing a large following takes time and patience, but is doable with a lot of hard work. Remember that this takes time. 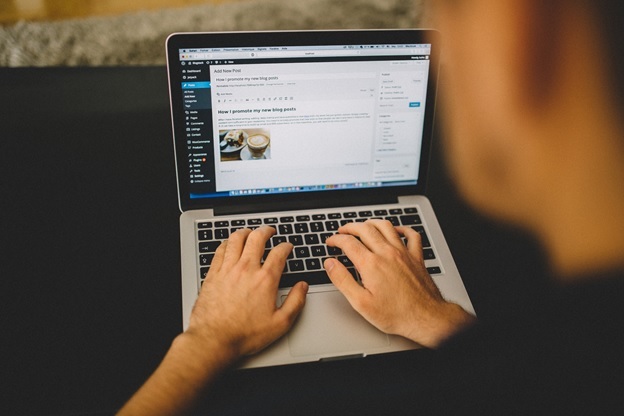 Nothing can be accomplished overnight and many successful blogs take years to finally break out.